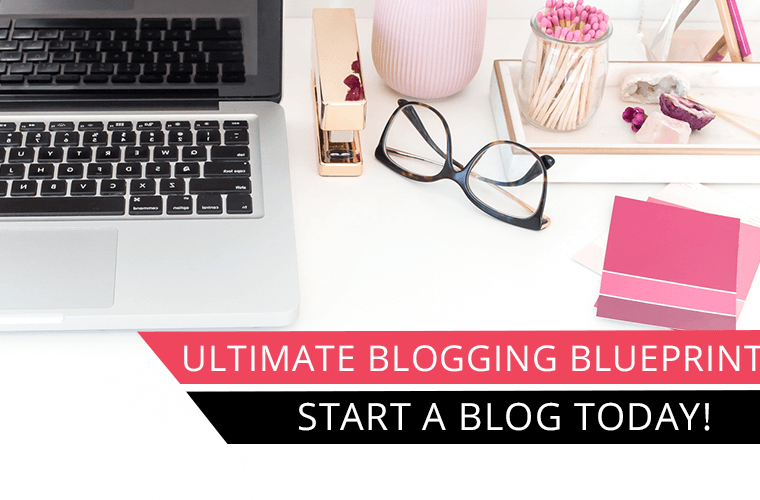 Are you thinking about starting a blog and not really sure where to start? One of the very first steps in starting a blog is picking a hosting provider. This is where all the data associated with your website is stored. There are a lot of different hosting options to choose from. Especially if you are new to blogging it can feel overwhelming trying to decide which is the best hosting provider. 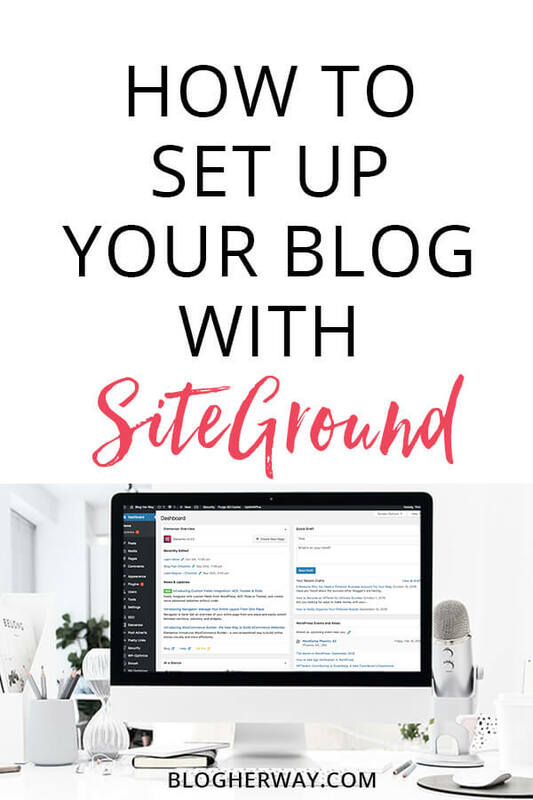 Today I want to share with you why I personally recommend SiteGround for your hosting needs, and show you step by step how to start a blog with SiteGround. 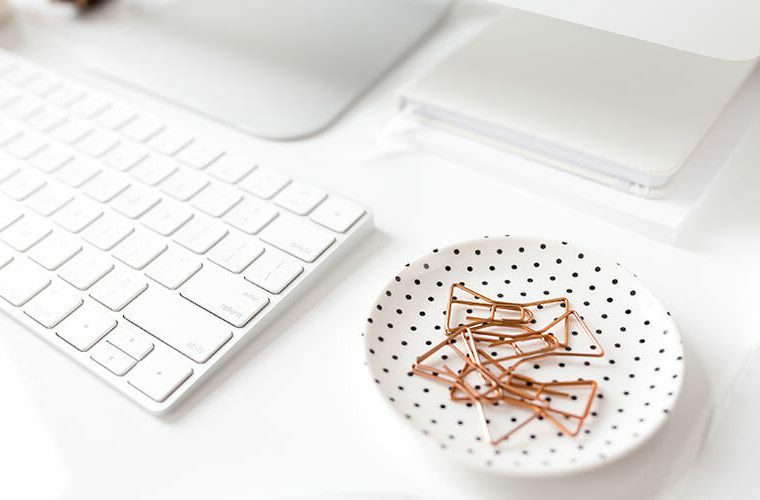 This post is a part of a series of posts on How to Start a Blog that I have created to help simplify the process of setting up your blog on WordPress. I have experience with both Bluehost and SiteGround. For my first blog I went with Bluehost mostly because they are super competitive when it comes to their sign up discount. Overall set up was easy, and they have a relatively understandable interface. However, for my present blog I decided to go with SiteGround. 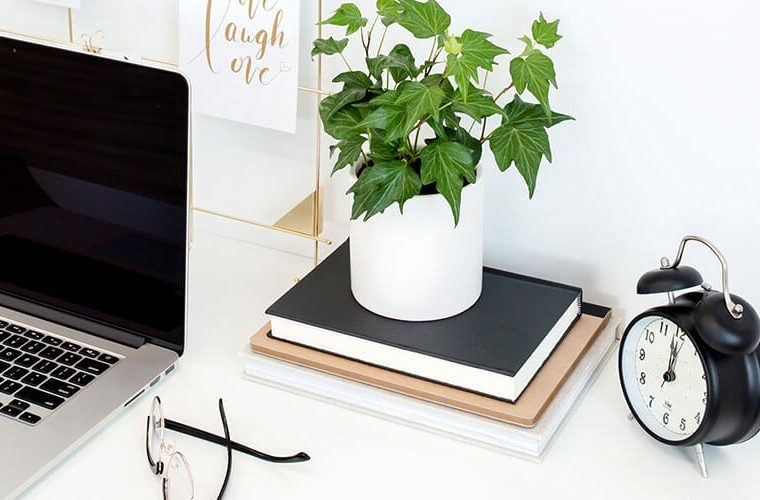 I had heard great reviews about SiteGround and unfortunately some multiple negative reviews about Bluehost especially in circumstances with increased blog traffic growth, and that’s why I decided to make the switch when starting this blog. After being with SiteGround for more than a year I am glad I made the switch. They offer great customer support and I can get in touch quickly with someone on their chat support to get my issue resolved. 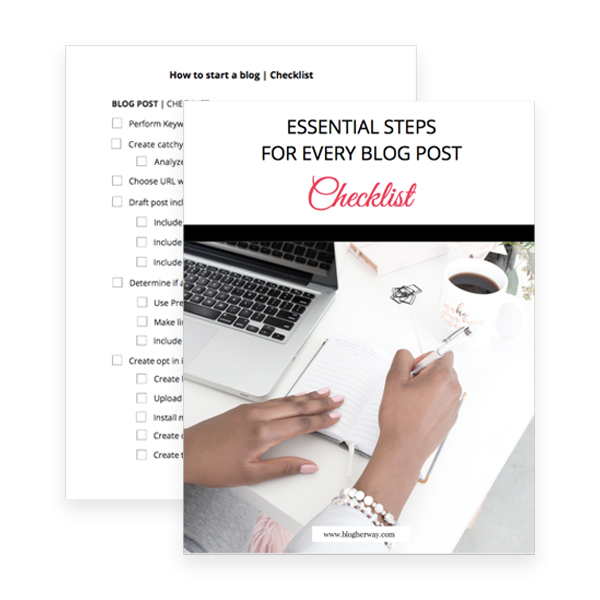 Check out the video below with step by step instructions on how to start a blog with SiteGround or keep reading to learn more. 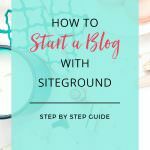 Below is the step-by-step guide on how to start a blog with SiteGround. Step 1: Go to Siteground.com and choose a hosting plan. SiteGround offers 3 levels of hosting depending on your website needs. I went with the GrowBig plan because I was interested in the Premium Features and I wanted the ability to host multiple websites. After choosing a plan, you will need to register a domain name. SiteGround offers domain registration for $14.95/year. Sometimes I hate being surprised by the information that they will ask you to fill out. Make sure you have the following information on hand when going through this process. SiteGround offer a number of extra services you should consider. Important because it protects your personal information that will become public when registering a domain. Step 4: Check confirmation of order and verify your Domain name. You will be given confirmation that your account was set up and will receive the following emails. With the Domain Service Notice click on the provided link to verify your domain registration. Login to the SiteGround customer service area. SiteGround offers getting started tutorials just below this link if you want to get more familiar with SiteGround and how to navigate within the SiteGround interface. The SiteGround Account Setup Wizard will walk you through setting up WordPress. Do you know which software you are going to use? To initiate the Software Installation process you will need to choose the login details for your WordPress access. It is recommended that you choose an username that is not admin for security purposes and make sure you use a strong password. SiteGround will give you the option to choose a web design theme to be installed along with your WordPress that is free for SiteGround clients. Once submitted, you will receive a prompt that the account is set up and they will send you an email with your relevant login information. Once WordPress is installed you will be able to login through the WordPress dashboard and start working on your blog. If you just purchased a domain name then wait 24 hours before logging into your WordPress dashboard. It takes just a little bit for the domain registration process to occur. Don’t forget to check out the other tutorials in my series on How to Start A Blog. Email List Provider: Make sure you start thinking about building your email list from the beginning. Mailerlite is a great option with automation capabilities and it is free for your first 1,000 subscribers. Check out my tutorial on how to deliver your first lead magnet using Mailerlite. 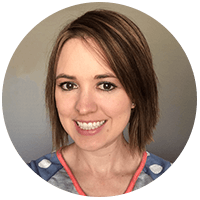 Pinterest Scheduler: Make sure you are taking advantage of the power of Pinterest in growing your blog traffic. My favorite Pinterest scheduler is Tailwind. Check out my post on the 7 powerful Tailwind features (to schedule Pinterest quickly). 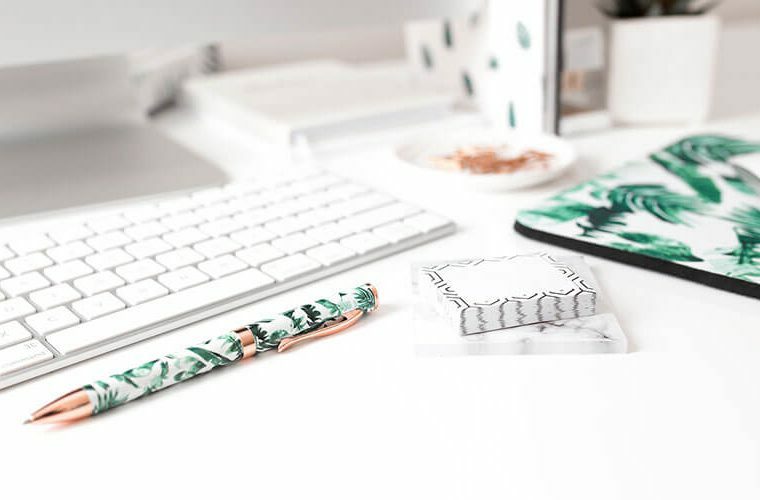 « Genius Blogger’s Toolkit: Is it worth it? Good tutorial for starting a blog with siteground. Videos are helpful for doing step by step process. Keep up the good work Tricia. I also started out with Bluehost and it was awful it ruined my blog I had to start all over and lost all my files! So I switched to Siteground as well and have had no issues with them and they have great customer support too! Finally a blog who knows how I feel! Thank you so much for doing this post! Stacy I can’t imagine losing all my files. That would have been so hard. I’m glad you have had a better experience with SiteGround!